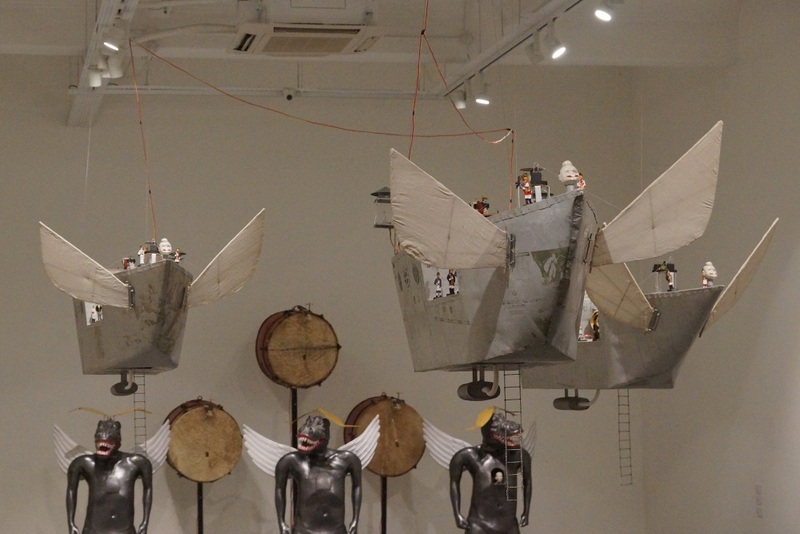 Art Sampoerna, a biennale event, initiated by Mobiliari Group, partnered with Putera Sampoerna Foundation, will launch its inaugural edition from May 19-21 at The Atrium, Sampoerna Strategic Building. It is a presentation of the most current developments in contemporary art and the cultural creative fields in Indonesia. Artworks to be featured in this exhibition are combination of new and recent works by some of Indonesia’s most celebrated contemporary artists today. This year exhibition is titled ‘Flow Into Now’, curated by Rizki A. Zaelani, one of board curators in Galeri Nasional, Jakarta. Contemporary art exhibitions today have developed far beyond art’s conventional introduction that delineates artworks into categories of limited interpretations. This exhibition tries to create connections between the variety of art expressions, explorations in design and experimental architectural ideas. Art Sampoerna is a mark of the intention for Mobiliari Group & Putera Sampoerna Foundation to continually support the Indonesian contemporary art with many other interesting issues as exhibition themes in the future. For more information, follow Art Sampoerna on Facebook, Instagram, Twitter, and visit www.artsampoerna.com.